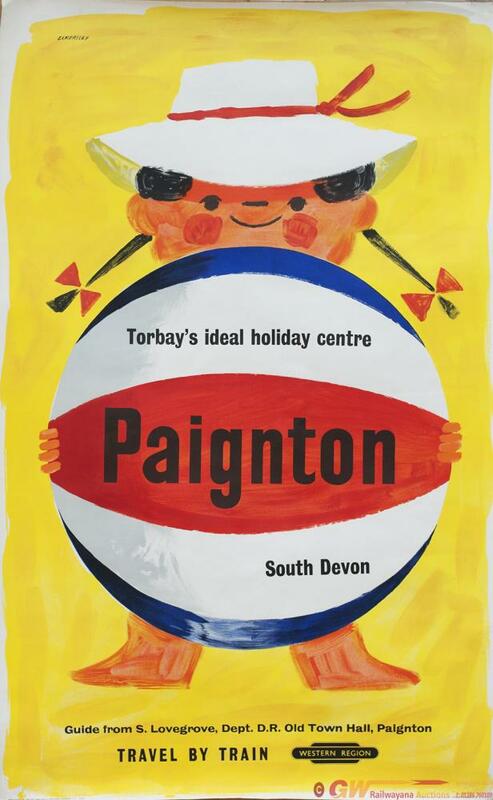 Poster BR PAIGNTON TORBAYS IDEAL HOLIDAY CENTRE SOUTH DEVON by Tom Eckersley. Double Royal 25in x 40in. Published by The Western Region in 1960. In very good condition.